In this Web service article series, we will learn about - What Asp.net Web services are? And How to create and consume web services in a client application? What is Asp.net Web Services? Asp.net Web services is a communication strategy by which two applications present at the same or different location can communicate easily as long as they are connected by a network. 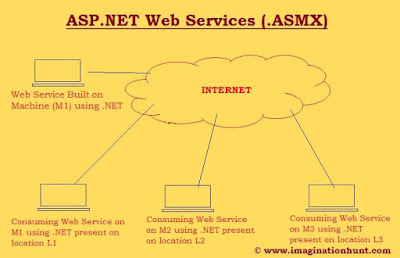 Web services are created with an extension of .asmx. Hence, Asp.net Web services are also known as ASMX services. Here, .asmx stands for Active server method extension. Web services came into play when we need to access some method which can be present on the same computer or the different computer. Web services worked on open standard & protocols. They used SOAP web protocol. 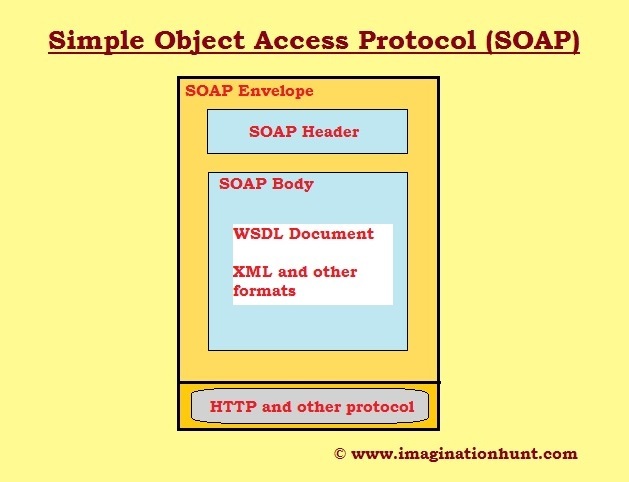 SOAP enables an operating system to communicate data written in XML over HTTP. XML (i.e. Extensible Markup Language) which is platform independent language to send data over internet and HTTP protocol is for sending and receiving messages over the internet. For example- Suppose I create a web service in Java which can be used by the application built using .Net. And also services built on .Net can be consumed by Java application. o ASMX: Active Server Method Extension. ASMX services give a way for developing interoperable application i.e., enabling an application to invoke a method of another application. o HTTP: Hyper Text Transfer Protocol is used to send and receive messages, over non-secure data transmission. A web client (browser) sends a request message to the web server. The web server receives the request and sends the response back to the web client. o HTTPS: HTTP functionality is enhanced by providing secure data transmission. Information like account details and bank transaction need to done using this from client to server. o FTP: File Transfer Protocol is used to send files directly from one computer to other. o SOAP Header: Provide information about the message authentication, encoding the data and how the receiver should process the message. o SOAP Body: SOAP body contains data in WSDL document. It contains methods that are exposed by the web service, the parameter, and their types and return types of the methods. 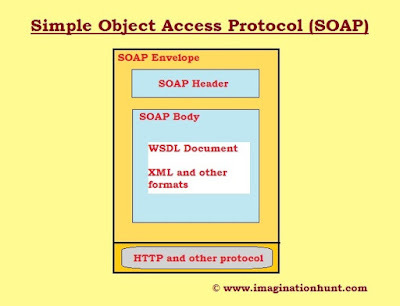 The message format of SOAP usually relies on HTTP and uses other protocols of different application layers. Among these the most notable application layer is Remote Procedure Call (RPC) and HTTP. SOAP forms the foundation layer for web services. o WSDL: Web Service Description Language which is pronounced as Wis-del. This is used to describe a web service based on XML. WSDL contains all information about the service, its residing location and the way of consuming the service. o UDDI: UDDI Stands for Universal Description Discovery and Integration. This is used to publish and discover the information about the web services. It is an XML based standard. o Serialization: Serialization is the process of converting an object into a stream of bytes so that it can be transported across the network and in order to store the object into the CACHE memory, a database or file. Its main aim is to save the state of an object in order to be able to recreate it when needed. o De-serialization: The reverse process of serialization is called deserialization. The information in bytes is again recollected into the object. When the object is deserialized, an exact copy of the original object is created. o Maintaining security or user specific information across an application. o Namespace: The System.Web.Services.WebServices; namespace is used to build web service. o Is XML case sensitive or not? Yes, XML tags are case sensitive. The tag <Header> is different from the tag <letter>. Opening and closing tags must be written with the same case. ///This is incorrect way to writing XML tags. ///This is correct way to writing XML tags. “Opening and closing tags” are often referred to as “Start and End tags”.